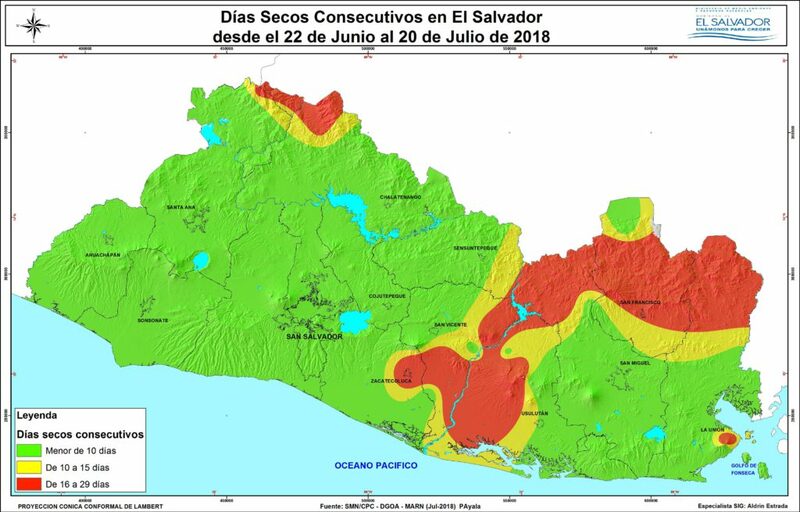 A drought is currently affecting much of eastern El Salvador. The map below produced by the environment ministry shows the number of consecutive days without rain in different areas of the country. The drought could have a major impact on the production of corn, one of the staples of the country. Farmers will try to recover in a second planting between now and the end of the rainy season in November. The eastern part of the country has often suffered from drought in recent years. Here on Isla Cordoncillo we have 16 inches less rain than last year during the same period and most of the rain we've received has not been in significant quantities. Most all rain-catch cisterns on the island are still dry.